If we can’t define trust satisfactorily, can we at least begin to understand how it develops between people – and between people and institutions – over time? That is what Rob Warwick and I explored in a recent workshop in Brighton, by using stories, group conversations and writing to stimulate our thinking (Writing, Conversation and Trust: a day of exploration by the seaside: the AMED writers’ annual workshop, 20 May 2016). The day stimulated me to think about how human relationships, and trust in particular, ebb and flow. If you think back to how one of your relationships has developed over time, you may recall some striking or memorable moments along the way. Perhaps something happened to unsettle or even destroy the trust between you. Maybe you managed to rebuild it. Maybe you didn’t. Not surprisingly, I noticed the ebb and flow during the workshop. For example, I tended to feel warmer towards people who smiled or responded constructively to something I said. In contrast, when someone spoke in a complaining tone (as if they were a consumer who had bought a faulty product), or in an I-know-better-than-you manner, my trust sagged. At the end of the day, I came away wondering again whether it isn’t a bit strange to focus solely on this “thing” called trust, when trust is only one of several aspects of human relating. What about fear, sadness, irritation, enthusiasm, love, disappointment, exclusion, rivalry or anger? Surely these all deserve our attention. For example, I recall one day an old friend expressing what felt like vicious anger towards me. His words felt pretty much out of the blue. I notice that that memory has lingered in my mind ever since. I would still trust him in most things, but in that moment something precious was lost. So trust and (expressed) anger can be intimately connected. One person in the workshop wondered whether trusting someone could be understood as “anticipating that they won’t do harm to us”. I suspect we just need to feel safe enough with other people to be able to “go on together”. Alison Donaldson & Rob Warwick: The emergence of trusting relationships: Stories and Reflections. Report for Roffey Park, 2016. Alison Donaldson & Rob Warwick: Trust and the emotional bank account: using stories to prompt learning. Strategic Briefing for Croner Publications, 2016. The original research was funded by Roffey Park. Our report on trust has just been published (Donaldson and Warwick, 2016). It was a year ago when Alison Donaldson and I started our project, financed and supported by Roffey Park. Trust is an increasingly important subject in organisations, particularly as relationships are more fleeting as people go from one employer or project to another. We were interested in taking a different tack from the routine academic examination of the subject that tends to be overly ‘thoughtful’ and analytic. What if we were to gather a number of stories, conversations and insights from literature and use these as a way for people to connect with the whole gamut of feelings as they go about developing relationships? That is what we have done, paying attention to: vulnerability, hope, risk, disappointment, calculation, the unfathomable, the dynamic between individual and group, of power and so on. We have not come to any snappy conclusions. Instead we hope that we have come up with some useful insights and resources that people might read, discuss with their work colleagues and friends. And in doing so be jolted into noticing the development of trusting relationship in a slightly different way. If you would like to read more about our approach and the methods we wrote a short paper titled Trust and the Emotional Bank Account for Croner-i in their strategic HR series. Here we also outline the implications for organisational development and HR practitioners. It is not quite over (for example click here) we are still interested to explore how our work has been taken up and is continuing to affect trusting relationships. Donaldson A and Warwick R (2016) The Emergence of Trusting Relationships: Stories and Reflections. Horsham, Available from:http://www.roffeypark.com/research-insights/free-reports-downloads/the-emergence-of-trusting-relationships-stories-and-reflections/. Feeling excluded – detrimental for trust? The other day I was in conversation with the author of a paper on the subject of trust, which included a number of case studies. I noticed that, as people talked about how their sense of trust in someone had changed, they often seemed to be pointing to feelings of inclusion or exclusion. When I put this point to the author, after a slight delay he said “I don’t quite understand what you mean.” This made me realise that I needed to do a bit more explaining. I personally first started to notice that feelings of exclusion and inclusion were a constant feature of human relating when I was studying organisational change with Ralph Stacey in the early 2000s. I learned that the sociologist Norbert Elias had conducted a whole study on the subject, which was published in his book “The established and the outsiders”. As I was talking to the author of the paper on trust, I noticed that my theoretical explanation wasn’t helping much, so I decided to give some examples from his own case studies. That helped. It also prompted me to go back to our own case studies, developed for Roffey Park, to see just how often a sense of exclusion or inclusion shows up in them. Sure enough, the threat of being excluded, even when not mentioned explicitly, had clearly influenced people’s sense of trusting and being trusted. For example, people spoke of trust collapsing in the context of: “not feeling recognised”; “feeling judged”; and “realising x talks about me behind my back”. More positively, a sense of inclusion seemed apparent when people said things like: “y respected my opinion”; “z would back me up in front of others”; and “transparency builds trust”. What strikes me now is that, even if a person does not mention a particular word (such as “belonging” or “exclusion”), the phenomenon may be very present in the stories they tell. In terms of research methods, this makes me wonder about “thematic analysis” of interview transcripts. Presumably such analysis has to be strictly confined to the words actually used by interviewees. So could it be that this means there is a risk of missing something important that interviewees are pointing to but not spelling out? I find it entirely understandable that we might lose trust in anyone who talks behind our backs, refuses to recognise us as human beings or otherwise prevents us from taking part in something that matters to us. A propos all this, John Shotter pointed me to a paper he published some years ago called “Becoming someone: identity and belonging”. In it he wrote (among other things) that, to be able to play a proper part in society (or in an organisation or a group), “one must feel able to speak without having to struggle to have one’s voice heard”. “Having a voice” seems to be essential if trust is to develop and survive. Norbert Elias. The established and the outsiders. Sage Publications, 1994. John Shotter. Becoming someone: identity and belonging. In N. Coupland and J. Nussbaum (Eds.) Discourse and Lifespan Development. Sage, 1993, pp.5-27. Posted on 09/07/2015 24/07/2015 Author Alison DonaldsonCategories Human relating, NarrativeTags Belonging, Case studies, Exclusion, StaceyLeave a comment on Feeling excluded – detrimental for trust? Mary Parker Follett was an incredible woman. 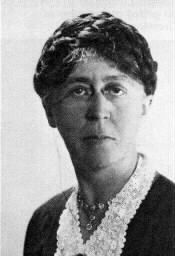 She was interested in organisational behaviour and theory, a management guru for a world hardly prepared for her insights in the early twentieth century, nor indeed today. She did not propose beguiling simple solutions, instead she was keen to describe the flux of social interaction in ways that are useful. I’m going to offer three quotations. The challenge is this: if they resonate with your experience of working in organisations what are the implications for how we might think about trust? This is my interpretation, yours may differ: I strongly identify with her comments that we are part of the action, there is no standing aside. And as we interact we are changing those around us as we in turn are being changed in both predictable and unpredictable ways as we develop new relationships. I ask myself, how do I think about trust before I meet someone for the first time or work with them in another capacity? I have an imagined idea, perhaps shaped by what I’ve heard, their reputation or that of the organisation. I might be mindful of the expectations of those around me, or what might be at stake. Perhaps I might remember the conversations about trust itself or what I have read in terms of models and approaches to trust. All of this is in the mix as I wait to meet them. When I meet them the subtle process of trust begins its work. Intuition and the rational me intermingle as we both navigate and develop understanding of each other, staying mindful of what I want to achieve and those around us that have an interest in any progress we might make. In the conversations I notice how our interactions are developing, perhaps a few trust-enabling gestures which I can respond to. The conversation ends, a relationship has started, there is much to build upon. Mary Parker Follett challenges us to think about what organisations are (or should we instead think of the activity of organising?) 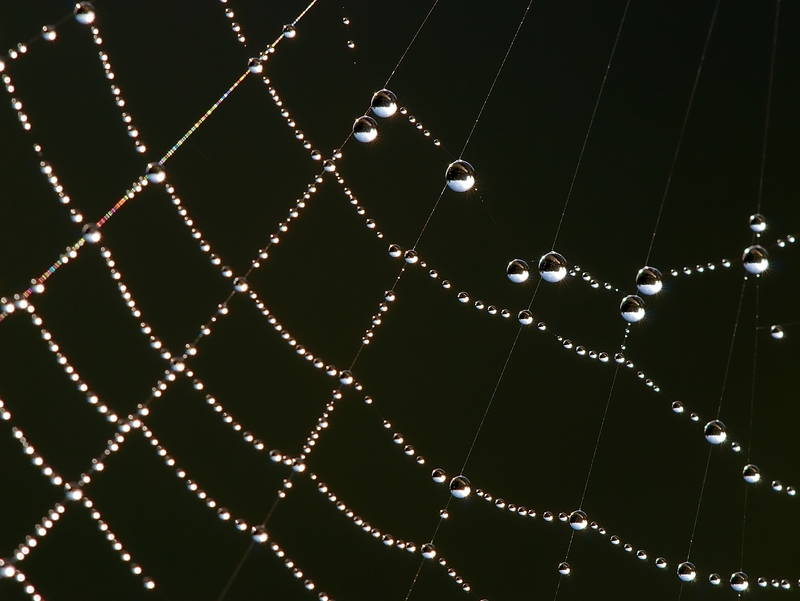 and how we can be aware of the interconnections that we are all part of. All vital as we develop trusting relationships. As with other aspects of organizational life, there are no beguilingly simple solutions. Follett, M P (1918) The New State: Group Organization, the Solution of Popular Government. Literary Licensing LLC. Follett, M P (1924) Creative experience Volume 3 of Organization behaviour. Reprint. Рипол Классик. Follett, M P (2013) Freedom and Co-ordination, Lectures in Business Organization, Vol 15. London and New York: Routledge. In a paper due to be published shortly, I discuss what I have termed the ‘routines of innovation’. To stay ahead, organisations need to innovate: creating new services, products and value for the customer. And it is here that there is an essential connection between trust and misunderstanding. First, misunderstanding: I argue that for something new to emerge it helps if people see and experience things differently. This might be brought about by different people and groups working together and/or changing the way they do things – for example, people who might not otherwise work with each other being put into a project or product development team. By asking simple, but often awkward, questions they start to unpick each other’s assumptions and ways of seeing the world. 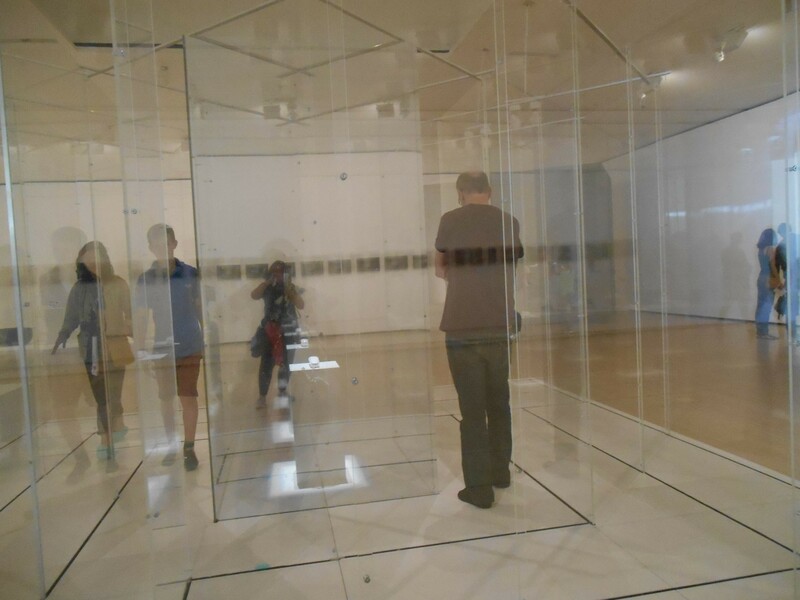 Sometimes it can feel like walking into a glass wall resulting in argument or hurt. But in this jolting, new patterns of noticing are established in conversations and people relate to each other, and sometimes themselves, differently. Far from being a problem, misunderstanding creates the opportunity. And now for trust: for the process of innovation to work there needs to be enough trust and willingness to put faith in each other. This means an acceptance of vulnerability to the actions of others over and above one’s need to monitor and control the actions of others (Mayer et al., 1995). This feels risky, particularly in the face of hurtful misunderstanding. Risk, vulnerability and a developing reciprocity of action and gestures are all essential in developing trust. In other words, we are increasingly invested in each other’s success and failure, and we need to understand how each of us can play our part. But there is a tension between misunderstanding and trust, a dynamic paradox. It is not a case of one or the other but both. The nature of this ‘both-ness’ can be messy, but it is in this that trust, newness and innovation can emerge. Mayer RC, Davis JH and Schoorman FD (1995) An Integrative Model of Trust. The Academy of Management Review, 20(3), 709–734. Last year I was at a leadership conference and listened to a presentation about trust. The researchers were examining people’s experience of trust by using a questionnaire survey. It got me thinking how difficult it is to ‘measure’ trust due to its complex relational and contextual nature and how this plays out over time. It reminded me of the process of exchanging a gift and the sense of expectation that is created between the giver and receiver. And it is in this reciprocity of expectation that relationship continues. Trust can be seen in a similar way, but here the focus is not a tangible item like a gift, but the relationship itself brought to life with confidence-building gestures. Pierre Bourdieu, in Outline of a Theory of Practice (1977), argued that the tendency of abstraction, free from context and the temporal flow of events, is a fundamental problem of researching how people interact with each other. An objective approach would consider the principle of gift exchange as a form of reversible operation. Here gifts are to be returned by an item of similar value, thus cancelling out the obligation. Or in the case of trust, confidence-building actions are matched by similar actions. However this does not account for the intertwined context that the parties have to navigate, along with feelings of hesitation, possibilities and expectation, and how this fits in with the meshed course of irreversible past events. Bourdieu also considers ‘style’ of gift exchange – the occasion and nature of further gifts – and how this affects the experience of the ongoing process. To illustrate the point let us take Sheldon Cooper. Sheldon is one of the main characters in the comedy, The Big Bang Theory. They are a bunch of rather nerdy physicists and engineers working in a university along with their friend and neighbour, Penny, a waitress who dreams of stardom. 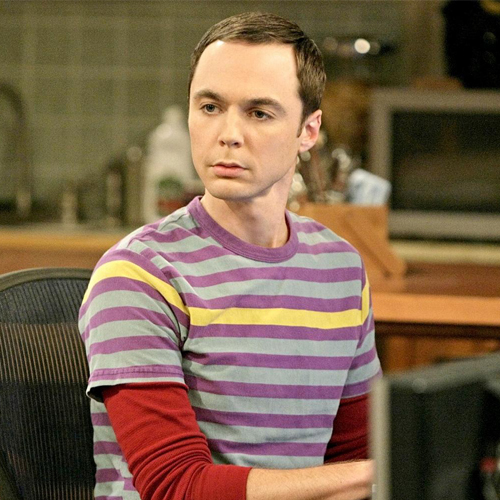 Sheldon, bordering on the autistic, sees everything from the perspective of the objective scientist. And it is this mindset that trips him up when Penny gives him a Christmas present, here is the video (Cendrowski , 2009). Shocked that he has been given an obligation, in the form of a present, he buys a range of gifts of different values. Upon receiving his gift from Penny he plans to quickly check its price on the internet so he can give the one of closest value and return the rest to the store. But of course, Penny gives him something priceless (and worthless): a signed napkin of Sheldon’s hero, Leonard Nimoy. Here the zero-sum game of gift exchange collapses and Sheldon is overcome. How then can we describe trust in a way that gives voice to the relational and anticipatory nature of experience rather than focusing on the abstract notions of exchange? I shall call this the ‘Sheldon Dilemma’. Cendrowski , M. (2009). The Bath Item Gift Hypothesis. The Big Bang Theory, Season 2, Episode 11. As we know, trusting others means accepting vulnerability (Rousseau et al 1998). Human leaders recognise that in order to build trust and create sustainable trust environments, they need to share some of that vulnerability with their followers in order to signal to them their trustworthiness. I agree, but there is a shadow side that is worth exploring that has implications for trust itself. On the one hand vulnerability could be seen as a ‘sugary’ term that implies goodness. I will put forward another view of vulnerability, one that is enmeshed in the goings-on of the workplace, which can be toxic and corrupt. The picture I will paint is of a fictitious police department in a small provincial city. Here there is a young moral police officer who is keen to progress through the ranks. She is new to the area and is keen to fit in. The team she is joining is longstanding and some of the members have worked with each other for many years. She is accepted politely but cautiously. Over the years it has become customary to engage in certain activities that are against rules such as clocking more overtime than actually took place and taking as much sickness leave as possible. Everyone in the department knows this goes on, even the senior managers, who did this when they were younger. To be trusted, what does the young officer need to do? Perhaps to indulge in one of the practices she sees going on? As soon as this happens she becomes enmeshed in a web of longstanding mutual culpability. At this point she can be trusted to know more secrets, perhaps involving more serious activities. Over a period of time this once moral and honest person becomes a part of the criminality she was so keen to fight. And in a few years when a new member of the team joins she talks with them discreetly as to ‘how things are done around here’. The point I’m making is that vulnerability is neutral, it is neither good nor bad. It only becomes so in practice. And the same goes for trust. CIPD (2014) Experiencing trustworthy leadership Research Report September 2014.